The visit left me with not a lot of confidence. The office was almost completely empty, yet I waited a longtime and only met with the doctor for less than 5 minutes. She did not seem interested in my specific reasons for making an appointment or asking any follow up questions, but more focused on selling her products as well as expensive cosmetic procedures which was not the reason for my visit. The visit left me with not a lot of confidence. The office was almost completely empty, yet I waited a long time and only met with the doctor for less than5 minutes. She did not seem interested in my specific reasons for making an appointment or asking any follow up questions, but more focused on selling her products as well as expensive cosmetic procedures which was not the reason for my visit. I was really impressed by Dr. Elliott. She asked great questions, listened to my story and concerns, sympathized with mysituation and responded immediately with medicinal intervention, and generated a step by step plan for the future. I left her office feeling really good. I was really impressed by Dr. Elliott. She asked great questions, listened to my story and concerns, sympathized with my situation and responded immediately with medicinal intervention,and generated a step by step plan for the future. I left her office feeling really good. She is very knowledgeable and friendly. Dr. Tillman Elliot was very professional and great to work with, she listened to all my concerns and treated everything accordingly. She even made helpful recommendations about what face wash products to use! Her staff were very kind and theoffice was super clean and modern. There's also very convenient parking (lots of street parking or the option of a paid lot behind the building) so you don't have to spend 20+ minutes finding somewhere to park before your appointment. She was very attentive and willing to access the four concerns I came into the appointment with. Unfortunately, we were unable to definitively identify the problem but she was willing to follow up with me over the phone. Great Examination Room manner. Friendly and professional. Freely and thoroughly answers all questions and concerns. My 15 year old son visited her and we were both pleased with his visit and the doctor’s prescribed treatment. Have been going here for years and am always seen quickly. Great doctor. Highly recommend. Delighted to be under Dr. Elliott's care. My appointment was great. You know quickly tell that Dr Elliott was well researched on current practices in her field and a thoughtful physician. The office was professional and timely. I am looking forward to growing my relationship with Dr. Elliot! Dr. Elliot was professional and helpful. I came in for a skin screening and to have a questionable mole looked at. My visit to Dr. Tillman's office was odd, and I don't think I'll return. While I was waiting, I heard her discussing another patient's billing issues rather loudly, which struck me as unprofessional. After we began our consultation, she leftthe room twice with little explanation and I was left waiting. She didn't give me firm advice, so much as suggestions and I felt as if I were leading the appointment. Afterwards, I was improperly billed for labwork that never occurred, and I haven't been able to reach the office manager since to correct the issue. Dr. Elliott is very pleasant and professional doctor. She's very confident and easy to talk to. I totally enjoyed my visit with her, and would highly recommend her to my friends and colleagues. The office and the doctor were pleasant and efficient. Dr. Elliott answered all of my questions and made me very comfortable. I'll definitely be back for my future derm needs. l had to wait almost an hour to see her, which is not acceptable. When she finally came in, she did not apologize for the wait. When I asked her if that wait time was normal, she said something to theaffect that because I was using insurance, that yes, wait times are a bit longer (which makes no sense to me). I am 95% sure she did botox on someone right before me (hence my wait) because when I was in the waiting room, a woman came out and said to the receptionist, "thanks for squeezing me in". Dr. Elliott literally looked at my face for 5 seconds and then told me to come back to get a facial. I asked her about a few bumps on my forehead and she gave me a Rx, and then I asked about overall anti-aging, and she gave me a script for rentinA. It was like pulling teeth to get her to do anything and she just wanted me out of there. It was awful. It has been awhile since my appointment but I still think about the way she treated me, hence this delayed review. Dr.Elliott is a very good listener and has an excellent staff. Very professional and skilled. The facility is almost like a spa. Just great. All I can say is Wow!!!!! she is amazing i got there early for my appointment and she saw me even before my appointment was supposed to start. I could not be happier with the service I received overall my first appointment was great. Dr. Tilman Elliot and her staff were friendly, timely and informative. I got everything I needed. Didn't treat my condition at all and told me to go to another doctor. Her staff knew why I was coming in. If she didn't know how to treat it, then why take the appointment and take my copay? 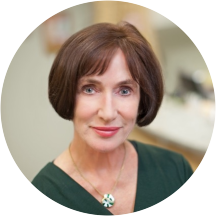 Dr. Elliott is an extraordinarily gifted,, highly knowledgeable physician- kind,, caring, and the best in her field. Excellent appointment experience reflecting clearly all of the above. It was a good visit. She had good recommendations. However she acted uninterested and acted as if my case was not that important. She is good at her job but not good at building a Clint/patien-Doctor relationship. I believe that shewill be able to help me but I didn't feel like she cared. Always thorough and informative. Shared a couple of ideas on how to handle a prescription cost that was too high. I can see why she is rated one of the top doctors in DC. The office is very clean, the entire staff is very nice and professional, and Dr. Elliott has great bedside manners. I had absolutely no fear in thatoffice, considering what I had an appointment for. I highly recommend Dr. Elliott! I had to wait about 40 mins before the doctor saw me. I was on time for my appt. The doctor seemed to be in a rush, she didn't even let me finish want i wanted to ask her and understandwhat's going on. She kept looking at her watch when she was talking to me. The appt. was so not helpful. She was understanding, listened intently and addressed all of my concerns. I didn't feel rushed either, which was very important to me. Office staff was not very polite and was talking about other patients behind the desk (not medical information, like gossip). The doctor was fine. When I went to schedule my follow up appointment, they were very rude when I asked fora Wednesday appointment. Instead of just nicely informing me the doctor doesn't see patients on Wednesdays, the receptionist snapped at me. I waited 30 minutes in the waiting room and 20 minutes in a gown in the exam room before I was seen and I was the only person in the waiting room when I go there. Also, they hadn't downloaded my information from ZocDoc, so I had to fill out new demographic forms when I got there. Dr. Elliott was very professional, but I was frustrated by the long wait time (without any explanation). A very brisk, but positive experience. She was fast and clear, and took care of a minor problem without fuss. The office staff was quite nice and welcoming. Dr. Elliot is the best dermatologist in the area; I would not trust anyone else to treat my skin. She takes the time to listen to your concerns and always has an effective treatment plan. Her office is clean, efficient andin a convenient location with ample parking. Her nurse and administrative staff are equally great! If you have any skin concerns, I highly recommend scheduling an appointment with Dr. Elliot. Outstanding doctor who I have been seeing for many years. A very pleasant experience. Recommended.